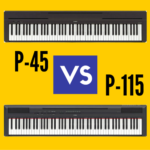 You are here: Home / Casio Digital Pianos / Yamaha YDP-143 vs Casio PX-870: Which Piano is Better? Both the Yamaha YDP-143 and Casio PX-870 are great digital pianos that will add a touch of class to any living room. But while these instruments would make an excellent home digital piano, they are a little pricey to the average consumer. 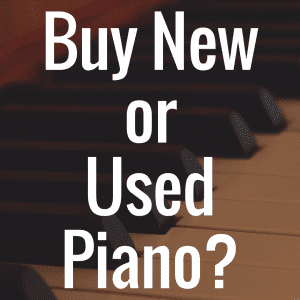 So how best do you determine which piano is right for your needs? 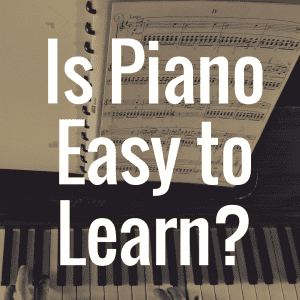 Well, that’s exactly what we plan to do in this article, as we aim to provide you with all of the pros and cons of these pianos to help you make an informed decision. And to better help you with this task, please check out our interactive guide below, which will allow you to directly compare the Casio PX-870 to the Yamaha YDP-143, as well as other notable digital pianos. The Yamaha YDP-143 is one of many digital pianos in the brand’s Arius series, a series of classic console digital pianos. 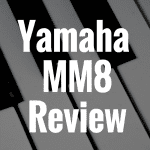 Yamaha asserts that this series brings the performance quality of an acoustic piano to musicians while bringing all of the conveniences of an acoustic piano to them, too. At $1,499, this digital piano is relatively budget-friendly. Of course, there are cheaper options out there, but the Yamaha YDP-143 is well worth the investment. All Arius series models, including the YDP-143, feature a 88-key Graded Hammer Standard (GHS) action keyboard. That is, the keys feel heavier in the low end of the keyboard and feel lighter in the high end of the keyboard, just like on an acoustic piano. As such, the Yamaha YDP-143 is perfect for beginner pianists because practicing on a weighted hammer action digital piano helps them to develop the proper finger technique that is necessary for playing on an acoustic piano. The YDP-143’s keys are also built with slip-resistant materials that absorb moisture from the fingers and stop fingers from slipping off of the keys. Thus, players can play for hours without worrying about their fingers falling off of the keys when they’re really in the zone. One of the most important and exciting features of any digital piano is its onboard sounds. The Yamaha YDP-143 contains 10 voices that were developed with Yamaha’s Pure CF Sound Engine, which is the brand’s state-of-the-art sampling technology. The standout sound on the YDP-143 is a sample of a 9’ Yamaha CFIIIS concert grand piano. This concert grand was meticulously sampled in order to bring it to owners of the YDP-143 and other Arius series models, and this careful sampling allows for dynamic, expressive playing. Players also have the option of splitting the keyboard between two sounds or layering two sounds together. For example, you can accompany a piano voice with a bass voice or layer a piano and string sound together. The Yamaha YDP-143 comes with the full suite of three pedals, just like an acoustic piano. When a musician depresses this digital piano’s damper pedal, Stereo Sustain samples add mellow reverberations to the YDP-143’s sound in order to make the digital piano’s sound even more realistic. Damper Resonance also fills out the sound whenever the damper pedal is used. This digital piano has 192-note polyphony, so it can support advanced playing (glissandos, intricate chords, etc.) and players can split and layer sounds without worrying too much about note dropout. Learn more about polyphony here. The Yamaha YDP-143 can also support half-damper pedaling. This technique, as the name suggests, requires the damper pedal to be pressed down partially. Some classical pieces call for half-damper pedaling, so musicians will be able to perform those pieces in the way they were meant to be performed on the Yamaha YDP-143. The inclusion of the “50 Greats for the Piano” songbook is an incredible feature. Take it from someone who knows–buying sheet music can get very expensive very fast! By including this songbook with the YDP-143, Yamaha gives pianists the sheet music to songs that they want to play and that their loved ones want to hear. There are pieces in the “50 Greats for the Piano” songbook that are appropriate for all skill levels; thus, players can move on to harder pieces as they advance in skill. Players can download Yamaha’s Digital Piano Controller app to their iOS device, like an iPhone, iPad, or iPod. The app is not available on the Google Play Store, so Android users will not benefit from this app at all. Apple users can use the Digital Piano Controller app to turn their iOS device into an intuitive instrument controller; doing so allows them to adjust settings, switch between onboard voices, and record performances. Players can connect their Yamaha YPD-143 to a computer by using a USB cable. They can connect to iOS devices by using a Lightning-USB Camera Adaptor or by using Yamaha’s UD-BT01 Bluetooth adaptor for a wireless connection. Being able to connect to technology in this way makes it easy for players to record their own music and control their digital piano from their smart device. Learn more about connecting this digital piano to an iPhone here. The YDP-143 was built with Yamaha’s exclusive Intelligent Acoustic Control (IAC) feature. On some digital pianos, the treble and bass are thrown out of whack when played at a low volume. Intelligent Acoustic Control automatically adjusts the balance of treble and bass in order to bring a rich, high-quality, and balanced sound to users no matter the volume level they play the YDP-143 at. The Acoustic Optimizer ensures that the YDP-143’s entire keyboard has a rich sound by regulating the control of the instrument’s tone and the flow of sound from the digital piano’s cabinet. Yamaha’s unique Stereophonic Optimizer feature makes playing with headphones enjoyable. On many digital pianos, especially ones in this price range and below, the sound quality seems to decrease when playing with headphones on. The Yamaha YDP-143, however, uses the Stereophonic Optimizer to adjust the digital piano’s sound output to create a surround sound quality that seems to come from the body of the digital piano itself rather than from the headphones. Keyboardists who live with roommates or family often find themselves having to use headphones while they practice or write music so that they do not disturb their housemates. By building the Yamaha YDP-143 with the Stereophonic Optimizer, the brand caters to the musicians who have to use headphones and ensure that they get to experience this instrument’s extraordinary sound quality, too. Clearly, Yamaha put a lot of thought into making sure that musicians can enjoy the YDP-143’s high-quality onboard sounds no matter if they play loudly, quietly, or with headphones on. Thus, keyboardists can rest assured that this digital piano’s sound quality will be consistent even as their playing habits change. What Does the Casio PX-870 Offer? The Casio PX-870 is priced at $1,499, so it is just as affordable as the Yamaha YDP-143. The PX-870 is one of many digital pianos in Casio’s Privia series. According to Casio, the Privia series redefines the digital piano by bringing unprecedented sound quality to keyboardists. The PX-870’s keyboard was built with Tri-Sensor II Scaled Hammer Action piano keys, and the keys feel lighter in the high end than they do in the low end. Thus, players can develop the proper playing technique just as well on the Casio PX-870 as they can on the Yamaha YDP-143. The keys are also built with slip-resistant material, which keeps players’ fingers from slipping off of the keys. This digital piano comes with 19 onboard sounds, which is almost double that of the Yamaha YDP-143. The grand piano sounds were developed with Casio’s AiR (Acoustic and intelligent Resonator) processor. In order to create these sounds, grand pianos were recorded at four dynamic levels of sampling. Also, AiR simulates the sound of the open strings inside of an acoustic piano when the dampers are raised by the pedal, which adds realism to the sound. 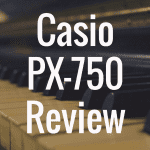 All of these sounds and features help to flesh out the sound of an acoustic piano; by including them here, Casio brings astounding realism to the PX-870’s sound. 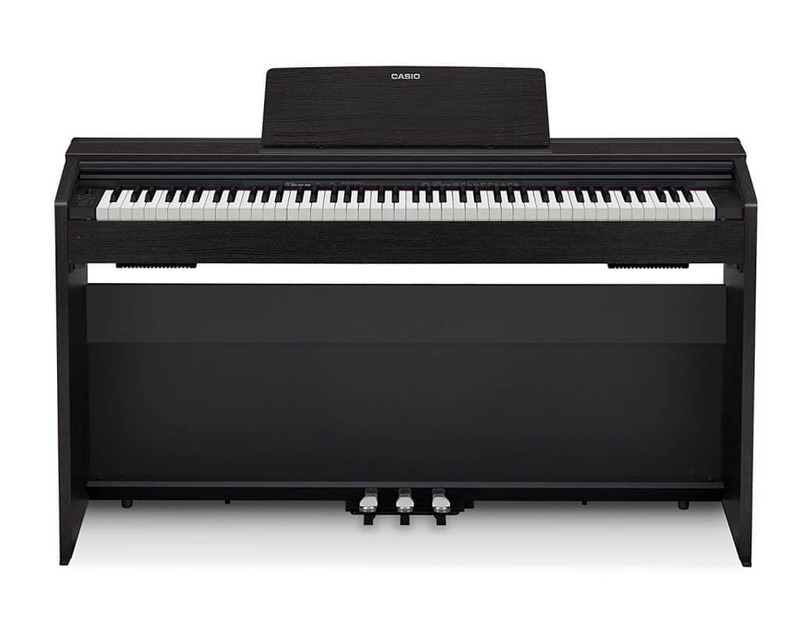 The PX-870 has 256-note polyphony, which is considerably higher than the Yamaha YDP-143’s 192-note polyphony and a little bit closer to an acoustic piano’s infinite polyphony. On this digital piano, players can essentially eliminate their fear of note dropout and can rest assured that their performances will sound exactly like they intended them to, with every single note sounding out. The Casio PX-870 was built with a powerful Sound Projection system. Sound radiates from various positions on the digital piano’s cabinet just like on an acoustic piano, which results in a rich, surround sound effect. Also, the PX-870’s sound is balanced at any volume thanks to its Volume Sync EQ feature; thus, players will not experience a loss of either treble or bass if they are playing quietly. Headphone mode optimizes the sound for headphone use, so the sound quality is not affected when playing with headphones. Like the Yamaha YDP-143, the Casio PX-870 comes with three pedals and can support half-damper pedaling. The Casio PX-870 can connect to computers, iOS devices, and Android devices via USB. Keyboardists can download the Chordana app to their iOS or Android device and control all of the digital piano’s functions from the app. The app also displays PDF scores, lets musicians play MIDI songs using the digital piano’s onboard sounds and speaker system, and lets musicians play MIDI songs with interactive scores. Although the Chordana app does not come with this digital piano, players can easily download it to either their iPhone or Android and start learning instantly. The PX-870 also comes loaded with recordings of ten popular orchestral pieces that keyboardists can play along with; musicians can also silence the recording so that they can focus on their own performance and slow down the recordings to practice particularly tricky spots. 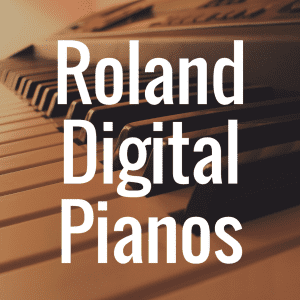 Which Digital Piano is Best? Both of these digital pianos are great buys and come with tools that players can use to advance their piano-playing skills. Both have weighted hammer action keyboards, so players can easily transition to playing on an acoustic piano from either the Yamaha YDP-143 or Casio PX-870. The Yamaha YDP-143 comes with the “50 Greats for the Piano” songbook, which gives players the opportunity to learn classic songs without having to buy the sheet music. Although the Casio PX-870 does not come with a songbook, players can use the Chordana app to learn how to play some of their favorite songs and the PX-870 itself is loaded with ten songs that keyboardists can play along with. The Casio PX-870 connects to technology more easily than the Yamaha YDP-143 does. The YDP-143 needs an adaptor to connect to an iOS device; meanwhile, the PX-870 can connect to either an iOS or Android device via USB. The Casio PX-870 has more polyphony than the Yamaha YDP-143; thus, players can completely eliminate their fear of note dropout. The Casio PX-870 is the winner here. The Chordana app works with iOS and Android devices, so players with either type of device can easily control their digital piano from the app. Also, this Casio model easily connects to all sorts of technology with the use of a USB cable. Finally, its 256-note polyphony is great for playing intricate chords, glissandos, splitting and layering sounds, and gives players room to grow. With less polyphony, players sometimes have to upgrade to a digital piano with more polyphony; with the Casio PX-870, there is no need to upgrade to a higher polyphony model.